be in love with cakes. 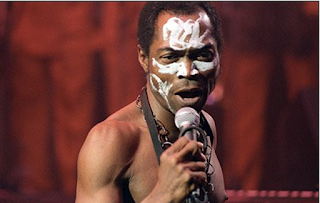 Fela Anikulapo-Kuti, the late Afrobeat creator and legend, loved to bake cake, one of his daughters, Omoshalewa Anikulapo-Kuti has revealed. She made the revelation in a recent chat Pulse. 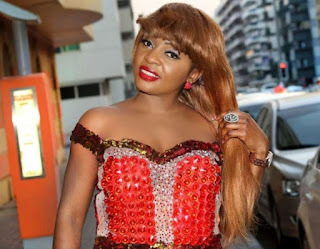 The young lady who is a UK based Disc Jockey popularly known as DJ Shaarks, disclosed that her father loved and baked cakes while he was alive. The disc jockey further narrated how Fela had taught her how to bake soft and sweet cakes when she made him a strong cake at her first try. “Fela actually taught me how to bake cake because he loves cake and I love cakes as well. So, I told him I wanted to bake him a cake and when I finished baking and gave it to him, it was solid rock, so hard that he said, don’t worry, don’t take it back but when the government come to disturb me, I will use it as a weapon on them. DJ Shaarks, who runs her music outfit in the United Kingdom, is the fifth child of Fela, whom he had with Adefunmilayo Anikulapo-Kuti.